Tag Archive | "back to school"
The Lenovo Helix 2 was an impressive improvement over the original Helix but faded from our thoughts due to the pro-level price. An offer spotted in Germany brings it right back into the foreground. At €1204 (inclusive taxes – US equivalent about $1050 pre tax) you can get the Helix 2 tablet and keyboard (which has an added battery) along with the pen, Windows 8 Pro and 180 GB of SSD. Oh, LTE is also thrown-in for the price. That’s a fantastic deal and if you’re like @mothertruckerer looking for a quality, capable, all-rounder this deal puts it ahead of the Surface Pro 3. You’ll end up with 1.35 KG of device which is a bit heavier than the Surface Pro 3 with Type-Cover keyboard but you’ve got a lot more storage (nearly double the free space) and NFC along with all the other specs. In terms of ports you’re getting both HDMI and DisplayPort so you’ve got good options for screen output. There’s also two USB 3.0 connectors (one on tablet and one on keyboard) along with a Micro SD card and an included Gigabit Ethernet adaptor. The only thing to watch out for here in the comparison with the Surface Pro 3 is the processor performance. My colleague Till Schönborn over at Notebookcheck (where I do some of their English device reviews) tested a Core M 5Y71 version and found that even the high-end Core M lagged behind the Surface Pro 3 in terms of performance. The cheaper (and slightly lower performing) Core M 5y10 in the ‘offer’ Helix 2. Performance is going to be way better than a Surface 3 though (it’s got a ‘real’ SSD inside and Core M beats Atom X7 in nearly all tests I’ve seen) and much more suited to a student that needs work, play and travel capabilities. Windows 8 Pro enables important disk encryption capabilities too. We’re likely to see a much cheaper Core M 2-in-1 launch next week that might be attractive for price-conscious buyers. 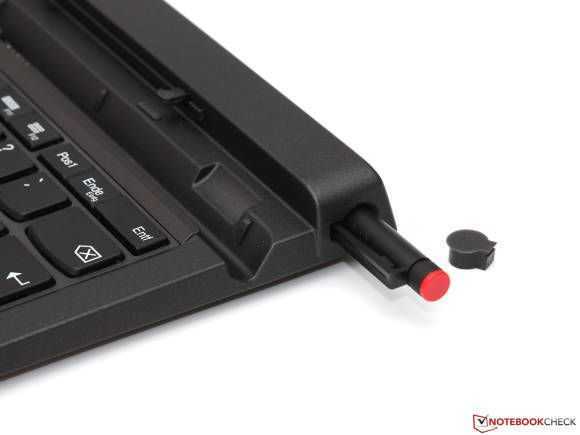 The Acer Switch 11V hasn’t been reviewed yet and no-one is expecting the build quality of a Thinkpad in the Switch 11V but the specifications and target price look interesting. I’ll be following @mothertruckerer to see if he takes the plunge. I’ve also added my early hands-on video from IFA last year. Why isn’t this being reported at Ultrabooknews? I’ve decided that ‘real’ Ultrabooks come with full-fat Core CPUs. I’m reporting on all Core M-based tablets (with a minimum working weight of under 1.3 KG) here. If you spot a similar offer in another country, please let us know. 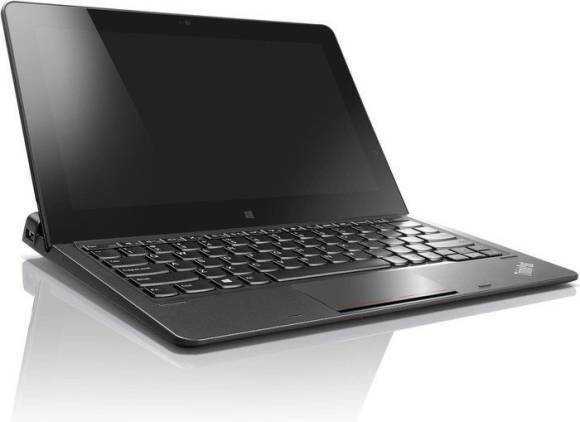 More information on the Lenovo Helix 2 here. Owner comments always appreciated on that page. Netbooknews has just published some information they’ve had from Intel during a chat with Navin Shenoy, the President of Intel Architecture Group and General Manager of the Mobile Client Platform. Most of the information wasn’t anything new but there’s a hint towards back-to school offers. As we were expecting, back-to-school offers will be starting in August and real sales numbers will start to show. One in ten of you reading this article are from Germany, a country that leads the world in Ultrabook availability. How do we know this? We know this because we regularly scan retailers in USA, Germany, UK, Canada, France, Italy and Australia for information on pricing and availability for our database and Germany is always out front. Those of you that think the English-language countries are the place to look for Ultrabook trends, reports, sales numbers need to think again because not only is there a huge availability of Ultrabooks, the cheapest Ultrabook is close to the $600 mark (pre-tax.) 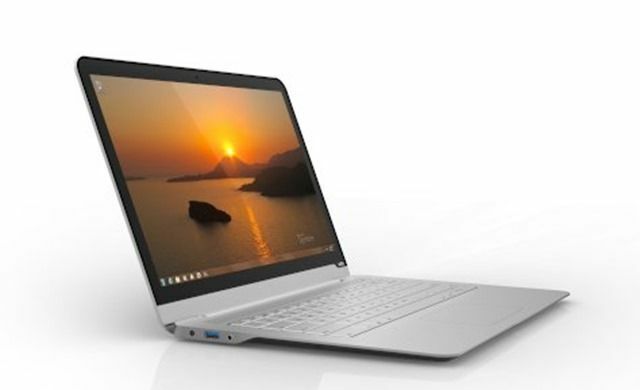 599 Euros buys you the Lenovo U310 today – inclusive of 19% sales tax which most EU businesses will claim back. 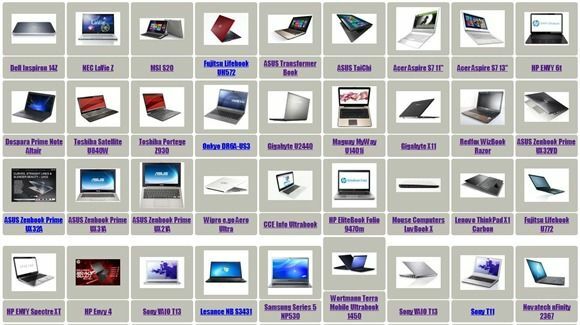 Here’s a list of interesting Ultrabooks, including my comments, that you might want to look at if you’re a QWERTZ person. Pass it on to your German friends! We spent a few hours with Toshiba in Germany yesterday and came away impressed by the commitment that this Japanese company has with the Ultrabook segment. 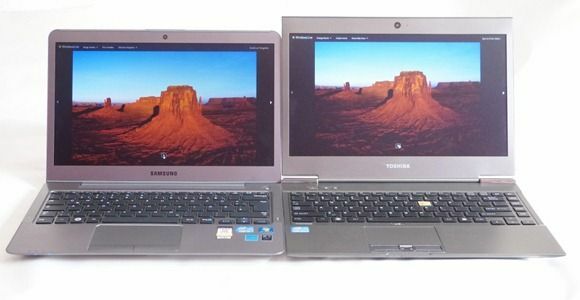 In 2011 we saw the very thin, very light Toshiba Z830 but in mid 2012 there’s now three models to choose from. Entry level with the U840, business with the Z930 and the interesting wide-screen U840W which we think is going to find some friends. In the USA the models numbers are slightly different but the U845, U845W and Z935 correspond closely to what Europe will see. 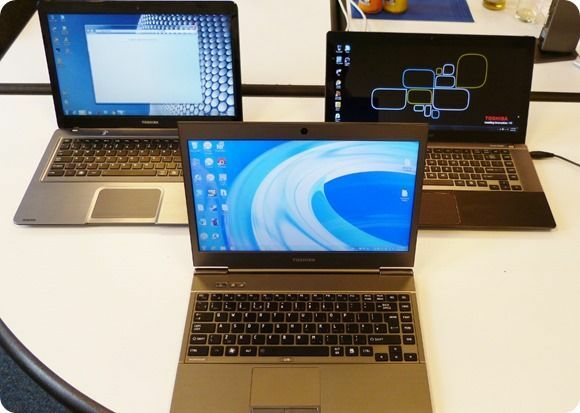 According to an NPD report, Ultrabooks are selling well in some segments of the US market. In the Jan-May 2012 period they helped push an increase in sales of the $700 + segment and comprised nearly 11% of that part of the market.Month-on-month growth seems to be strong too. Overall the $700 segment represents 14% of the laptop market but profit per unit and profit margins are generally higher so it’s an important figure. 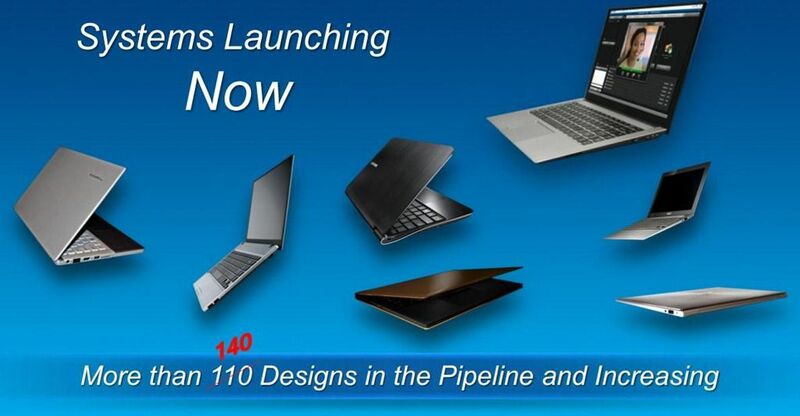 We don’t know why but Germany is the country to watch for early release details on Ultrabooks this week. The Lenovo Ideapad U310 (MAG6JGE) is showing up for €599.99 which is just about the cheapest Ultrabook there is right now. If you’re working in dollars, note that this price includes the 19% sales tax in Germany. The pre-tax price in US dollars is $629. Again, look for a $599 price war starting in about 6 weeks. 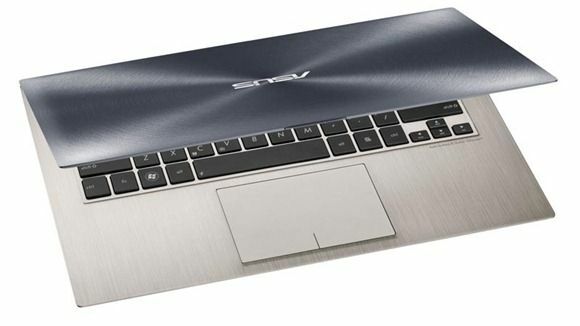 ASUS UX32VD Takes Top Spot at Ultrabooknews. And Your Favorite Is? Computex is over and we’ve been taking a look to see what Ultrabooks created the most buzz on Ultrabooknews. ASUS takes both top device and top team awards! The latest top-10 device in our database (by views, 7 day moving average) always shows the movers and shakers (front page, right hand column) but today it’s the ASUS UX32VD taking the top spot, knocking the SSD-loaded ASUS UX31A from the perch. I’ve dived into the stats and it’s winning by a large margin. ASUS have 4 devices in the top 10 too. Guess who’s winning in the manufacturers list? 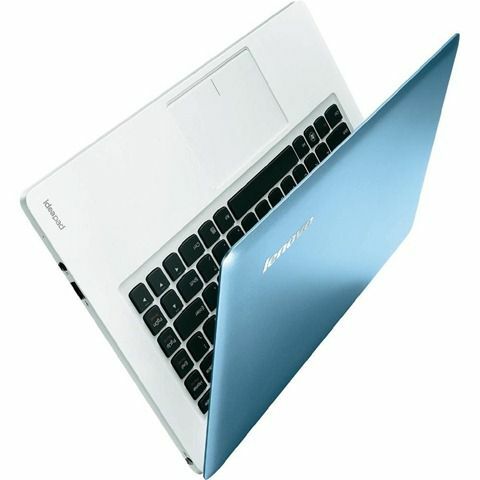 1st Gen Ultrabooks Appear with Ivy Bridge. Prepare for a 599-699 Fight! 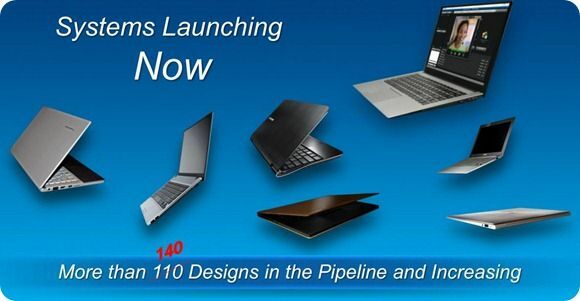 There was a lot of talk about new Ultrabooks at Computex this week but we shouldn’t forget that there are going to be a number of first-gen models that will get an Ivy Bridge upgrade. Given that they have all been well tested, it could be worth taking a closer look at some of these. In fact, keep an eye out for offers. We’ve already seen one or two coming in at low prices. We’re gradually getting more and more information on the ASUS S46 and S56 Ultrabooks and it’s looking like they will be the budget offering this back-to-school season. DVD is included along with a range of ports, a mainstream screen and that might even be a replaceable cylindrical cell battery pack on the back there. Starting price - a new record low of $599. Is that the sound of AMD’s ultrathins being crushed?